Building a new ethane storage and petrochemical hub in Appalachia presents a “once in a lifetime opportunity for this country,” Energy Secretary Rick Perry told the National Petroleum Council on Tuesday. 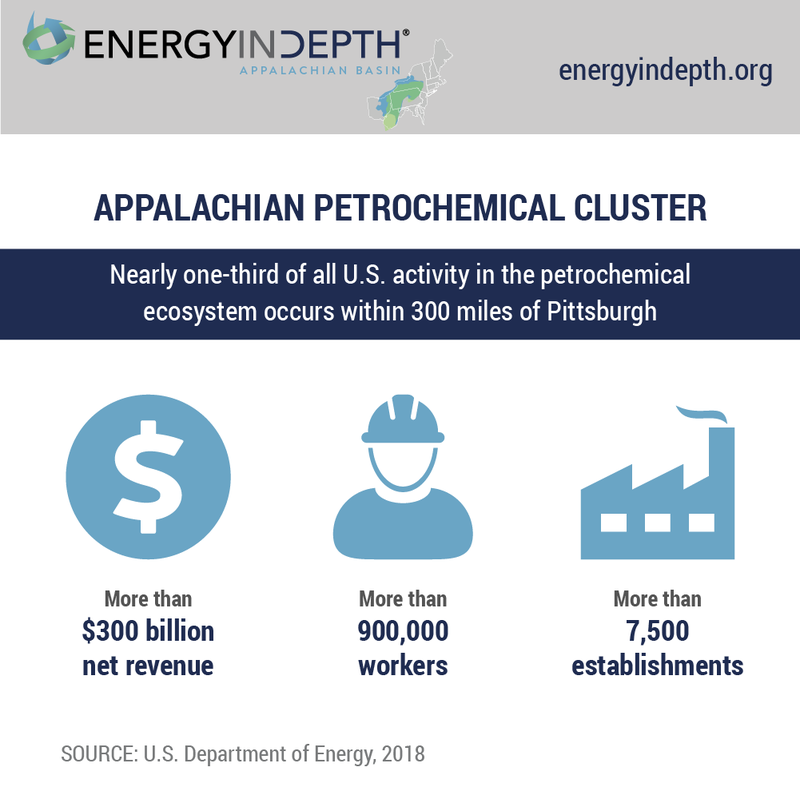 Appalachia’s abundant resources coupled with extensive downstream industrial activity may offer a competitive advantage that could enable it to displace marginal producers and help the U.S. gain global market share in the petrochemical industry. The new report follows DOE’s June primer, and further bolsters the findings of a recent IHS Markit study conducted on behalf of the economic development initiative Shale Crescent USA. As the International Energy Agency conveyed in its annual World Energy Outlook, the petrochemical sector will drive oil and natural gas development worldwide. While the Gulf Coast will continue to be a center for petrochemical manufacturing, remaining economically competitive in the global market calls for the expansion of petrochemical infrastructure. Development of the Marcellus and Utica-Point Pleasant shales in Appalachia has produced prolific amounts of natural gas liquids (NGLs), specifically high volumes of ethane – the “building block” of petrochemical feedstock and plastics manufacturing. 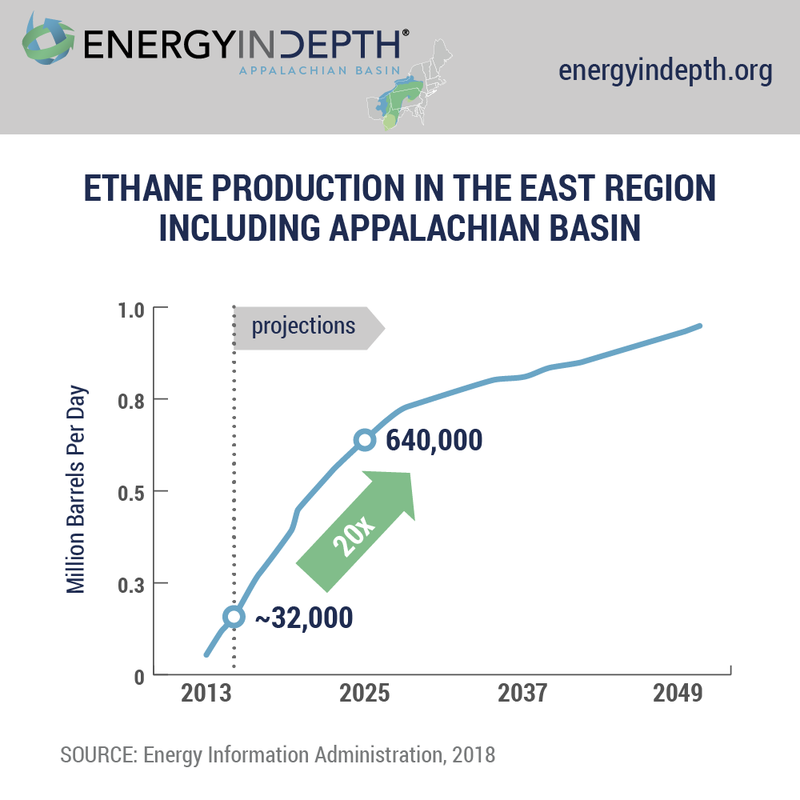 The DOE report, based on the latest data from Energy Information Administration, projects a remarkable increase in the volume of ethane from the Eastern Region, which includes the Appalachian Basin. The increased ethane supply provides the best reason to locate the new hub in Appalachia. In addition to producing ample supply to meet growing demand, the Appalachian Basin’s location – its transportation access and proximity to the market – strengthens the region’s viability. Furthering the attractiveness for investment, the recent IHS Markit study identified the region – through the combination of its location, proven reserves, and production levels – as the most profitable location for petrochemical development in the United States. The Gulf Coast serves as the U.S. petrochemical hub, but with growing worldwide demand, a second hub would provide the ability to increase competitiveness in the global marketplace, as Sec. Perry told the NPC audience earlier this week. This diversification also provides stability in the industry in the case of disruption from natural disasters such as Hurricane Harvey, which “paralyzed” the Gulf Coast. “The present-day geographic concentration along the Gulf Coast of petrochemical infrastructure and supply may pose a strategic risk, where severe weather events limit the availability of key feedstocks. Massive investments from the petrochemical industry including the multibillion-dollar Shell ethane cracker in Beaver County, Pennsylvania, and the proposed PTT Global Chemical complex in Belmont, Ohio, mark the first big steps toward creating the new Appalachian hub. These projects are bringing thousands of jobs, billions of dollars in investment, and generating new revenue streams for local governments. With the DOE amplifying the region’s viability, a new wave of economic growth gained from the development of our oil and natural gas resources looks to be more inevitable than before. The supply is here, the demand is here, and as the DOE report shows, Appalachia checks all the boxes to make the region a viable location to house the next American energy hub.